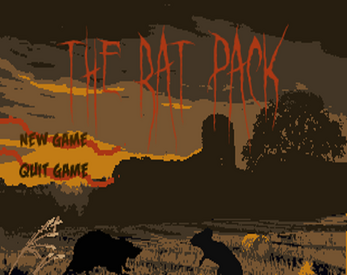 Do you think you've got what it takes to be the leader of a rat colony? Now's your chance to find out! This turn-based strategy / management game was made for the May 2018 MAGS competition. Can't wait to give this one a try!!! I love this kind of game! Hope you enjoy it Mandle! Where's Tabby when you need her?!?!?!? - DON'T RIGHT-CLICK. Seriously, it can only end in tears. This was a really fun game! The first time playing it, I accidentally pressed the right mouse button and I had to restart. But the second time I managed to beat it. The interface was nice and clean, the splash screens looked lovely, and the sound effects were a nice touch. All in all, it was a lot of fun! I would love to play an expanded version of this. Yeah sorry about the RMB thing, unfortunately I started developing the expanded version without saving a separate copy of the MAGS version so I can't go back and fix it.